Mirvish Productions has been on a run of great programming for the last little while with Come From Away’s Canadian sit-down production as a quality anchor, and tours of The Phantom of the Opera and Wicked coming through town. Phantom certainly can take some criticism but I’d argue its messages about empathy and mercy ultimately trump its problematically over-romanticized darkness. Wicked is a badass feminist masterpiece more relevant now than ever. Come From Away is a ray of sunshine and positivity that should be mandatory viewing for modern humans. On the other hand: The King & I.
Oh boy. I find the word “problematic” reductive and dramatically over-used (including by me. I’ve already used it once this article, it’s just such a helpful catch-all!) but I think the word problematic might have been invented because some unfortunate soul living in the 21st century sat through a production of The King & I and needed a word to describe it. The Rodgers & Hammerstein “classic” is quite literally just full of problems. From cultural appropriation to whitewashing to an overall narrative so dripping with Western superiority that you’re very quickly convinced that no one involved could have possibly ever actually been to Asia. And, no, the score is not so medium-definingly brilliant that it makes up for anything. There are two fun songs and a moderately nice ballad or two (‘Something Wonderful’, sung with intriguing psychological complexity by Joan Almedilla as Lady Thiang was the one moment in the show when I thought to myself “okay, there might be something here” but then the character received not a single additional note of development, so so much for that). 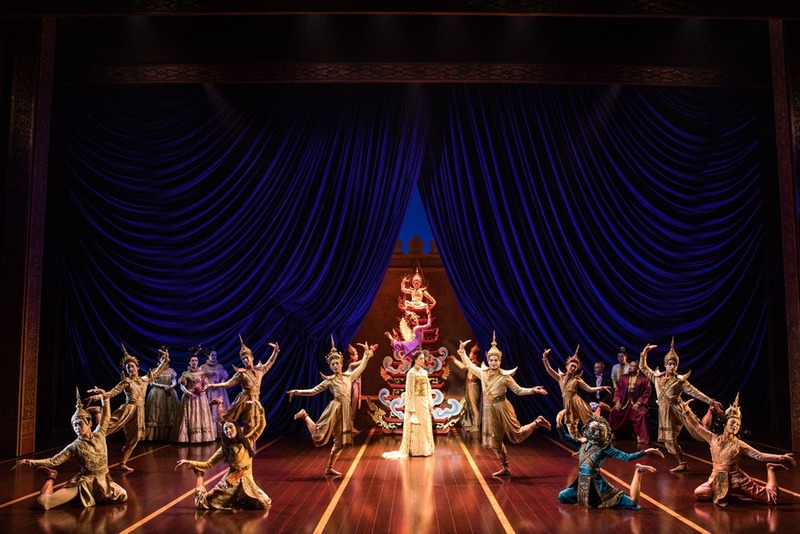 The current touring production is generally just bad- lowlighted by a Prince Chulalongkorn performance so outlandishly broad that he gave me a very embarrassing case of the giggles during some very not-supposed-to-be-funny scenes. There are some decent performers on board (Elena Shaddow is lovely if forgettable as Anna; Jose Llana superhumanly carves out some genuine comedy in the cringeily written role of the King) and it is honestly nice to see some opportunities for a few of the many outrageously underserved performers of Asian descent in the musical theatre community. But that’s just not enough. There is absolutely no excuse for the revival of this show in 2018. None. I don’t care how many times you watched the movie version when you were a kid, The King & I should not exist onstage anymore unless it’s a concert performance where some cheerful soprano would like to sing ‘Getting to Know You’ because ‘Getting to Know You’, out of context, is both a catchy song and a lovely, worthwhile concept. I’m not someone who believes we should just automatically throw out any piece of art that could be called problematic; I think we’d probably end up with very little surviving art that way. But we should throw out The King & I.